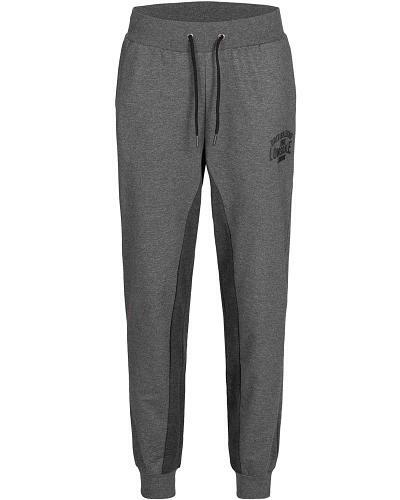 Lonsdale fleece pants Gaddesby in a sporty two tone look, comes in a trendy marl antrachite grey combined with a darker shade antrachite grey panels at the legs and the Lonsdale logo printed in the same dark grey shade at the right leg. Gaddesby is made from a smooth and soft 280g/m² brushed fleece, made with a straight fit cutting, features 2 paspel pockets and one back pocket. 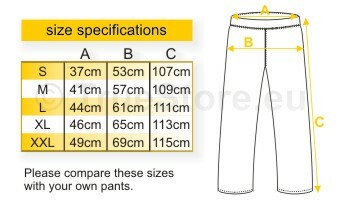 Comes with a easy and comfortable regular-fit, an elastic waistband with drawstrings and rib cuffs at the ankles. Perfect for sports and leisure. Available in marl antrachite grey, in sizes S till XXL.